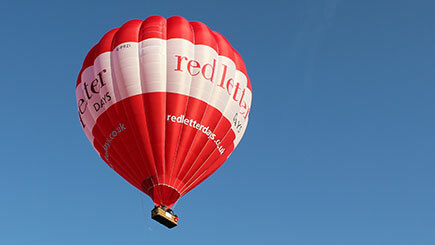 Experience a whole new way of flying with this exclusive hot air ballooning adventure for four. To begin, meet the professional pilot for a safety briefing before all pitching in with the preparation and inflation of the balloon itself. Once everything is set up, climb into the basket and get ready for the main event. Soar to heights of up to 3,000 feet and enjoy sensational views, peace and tranquillity, as the balloon effortlessly weaves in and out of the clouds. After safely returning to solid ground, lend a hand with the packing away before toasting the occasion with a celebratory glass of champagne or soft drink. To finish, get driven back to the original launch site and each take home a certificate as a keepsake.